Subaru has launched a new campaign with BC&F Dentsu to promote its SUV range. With SUVs gaining in popularity over recent years the market has being swamped with faux SUVs with the right looks, but little of the capability, and the term has started to lose meaning with what seems like every car now claiming SUV status. Subaru decided it was time to reassert their place as one of New Zealand’s most trusted Sports Utility Vehicles. The SUV from before SUVs were cool. Subarus have long been the car for people who need a little bit extra. Always providing a bit of extra grunt and a bit of extra grip. But the idea of extra holds true in their lives too. A Subaru driver is the type of person that stays out for one last wave or fishes until the last drop of light. It’s not unusual for the last car in the carpark to be a Subaru. 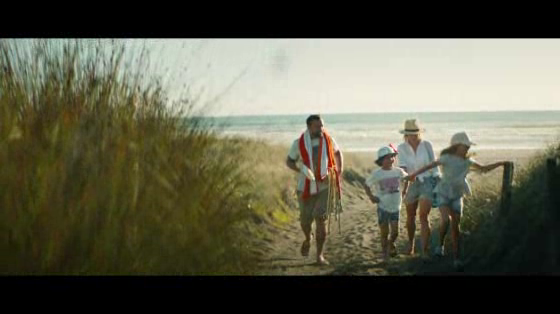 The campaign has launched with a beautifully shot TV campaign from Fish and director Jeff Wood. It follows a surfer, a fisherman, and a family as the last three cars in the carpark after an epic day at the beach. And as the days are shortening, people will be wanting to make the most of the fine weather, so BCF Dentsu have made good use of digital billboards by creating a daily countdown to sunset reminding people to go out and make the most of the warm weather. Plus, every night after the sun sets, the billboard becomes a countdown to sunrise, and another day to fill with fun. Where’s the rest of the spot? Feels like an intro to something…?